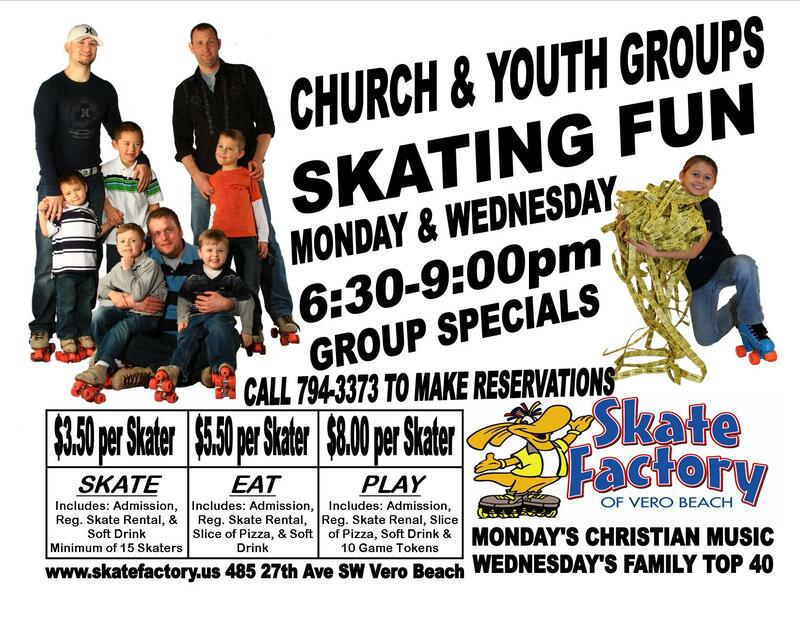 Skate Factory has great rates for your church or youth group on Monday and Wednesday nights from 6:30 pm – 9:00 pm. 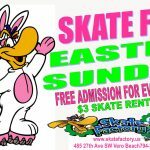 $3.50 per skater includes: Admission, Regular Skate Rental, and 9 oz drink. 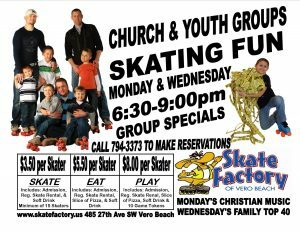 $5.50 per skater includes: Admission, Regular Skate Rental, Slice of Pizza, and 9 oz drink. 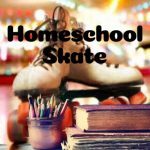 $8.00 per skater includes: Admission, Regular Skate Rental, Slice of Pizza, 9 oz drink, and 10 game tokens. A minimum of 10 skaters for group rates. 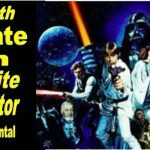 No individual payments will be accepted for Group rates.